Backpackers are usually adventurous people in search of low-cost traveling wanting to get to know the locals and the sights the city has to offer. Backpackers are usually open-minded individuals who are amazed by different cultures. 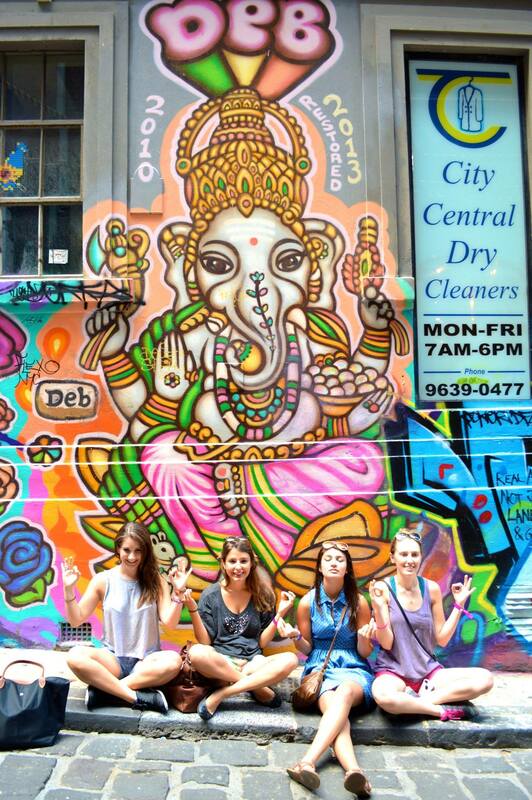 Many backpackers that I saw passing by Hosier Lane stopped to admire the street art of the Buddha elephant, an art piece that incorporates a different culture than the Australian one. They would often pass by and imitate the posture of the elephant while they were being photographed. This art piece is an example of the cultural aspect of street art. On the other hand, many backpackers also stopped to look at the aboriginal piece that gives an insight of what is currently going on in Australia. This piece shows a social and political problem that has been going on for some time now. 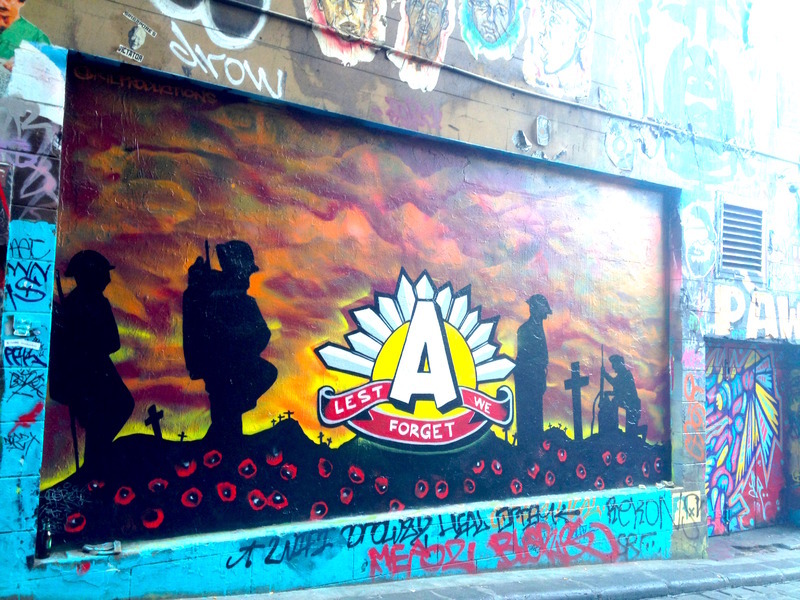 This art piece is an example of a common practice seen through out street art where they use this method of communication to express social and political problems. This piece was not being photographed as much as the Buddha elephant. 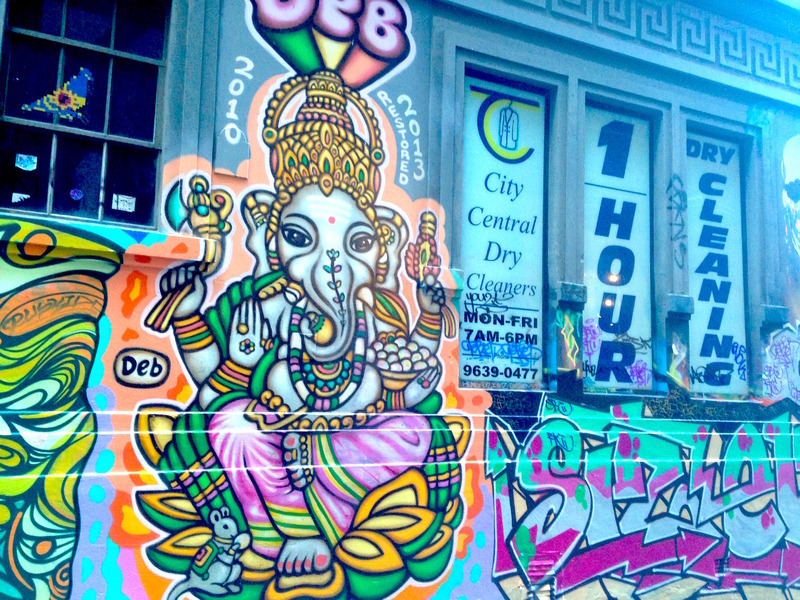 “Backpackers,” Street Art deTours, accessed April 24, 2019, http://streetartdetours.com/document/916.